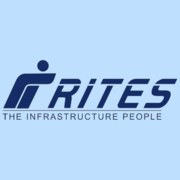 RITES Ltd Recruitment 2019 - Job notification for Manager/ AM/ JM Posts in RITES Ltd, Gurugram, Haryana on Deputation Basis. Applications are invited by RITES Limited on or before 27 Feb 2019 for 2 vacancies. i) The employees should have a minimum of 10 years experience in Indian Railways and basic knowledge of computers. ii) JM/AM/Manager (Traffic)/Operations should have experience in train operation/traffic planning/yard working and should have worked as Station Master/Tl/Section Controller etc. iii) JM/AM/Manager (Traffic)/Commercial should have experience in commercial working and should have worked as Commercial Inspector/Commercial Superintendent etc. iv) JM/AM/Manager (Traffic/Operations & Commercial) should be capable of collecting data from the field, compiling it and analyzing it for report writing.